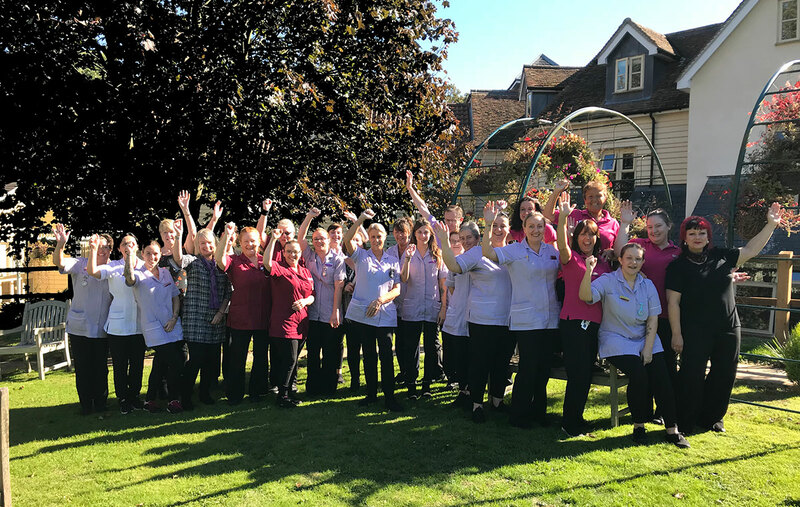 The team at St Mary’s Court residential care home in Braintree are celebrating after being shortlisted for not one, not two but 12 national and regional care awards. The two care homes are finalists in two awards at the National Care Awards and ten at The Great British Care Awards, East of England. Julia Clinton, CEO of Sonnet Care Homes, which runs both homes, said: “We know how high the standard is for these prestigious competitions, so we could not be prouder of the whole Sonnet team. It is an incredible achievement and real testament to their hard work and dedication. The two homes hope to surpass last year’s success where they won three awards at The Great British Care Awards, including being judged Care Employer of the Year for the second year in a row. Both competitions were devised to celebrate the very best people across the long-term care sector, highlighting excellence and paying tribute to those individuals who have demonstrated they are outstanding within their field of work. The awards represent all areas of the social care sector, including older people’s care and specialist services, residential or home care, across the statutory, independent and voluntary sectors. They recognise frontline staff such as nurses, care workers and care managers, and people who have made an impact in other ways, such as chefs, ancillary workers and trainers. Judging for the East of England Great British Care Awards will take place on 15 October 2018 with awards being presented on 15 November 2018. Judging for the National Care Awards is October 12th with the winners being presented with their trophies by actor and presenter James Nesbitt at the Gala Night held on Friday 30 November at the Hilton London Metropole Hotel. To find out about accommodation, respite care, and day care with Sonnet Care Homes, please call 01376 328600 for St Mary’s Court or 01376 558555 for The New Deanery, or visit www.thenewdeanery.co.uk or www.stmaryscourt.co.uk. For further media information please contact Jenny Grinter, jenny@mosaicpublicity.co.uk, 01206 841933.